Looking back at the timeline of events that Dr. Buxani has witnessed, one can resolutely state that anyone can taste boundless success – provided one has an iron will. His evolution from an aspiring young man struggling to make ends meet to a meritorious world-renowned businessman is nothing short of a fairytale that has transformed into reality. If one were to trace the course of Dr. Buxani’s momentous life, he would find it immensely inspiring. Born into a refugee family, he had to face several hardships after the India-Pakistan partition. After his father’s death, his mother had to work hard to earn a living. Owing to his family’s degrading financial situation, Dr. Buxani had to stop his studies abruptly and start working. He decided to try his luck in Dubai (then a part of the Trucial States) and he applied for a job at International Traders (Middle East) Ltd. (ITL), in response to an advertisement in a Bombay newspaper. This changed his life forever. Who would have thought that a young poor man from India working for a meagre salary of Rs 125 would become the Chairman of one of the leading conglomerates of the UAE? Lacking any sort of guidance and support, Dr. Buxani has established himself as one of the leading personalities in the corporate sector and was voted as the Top Indian Leader in the Arab World by the world-renowned business magazine – Forbes, thrice! After 56 years, accepting new roles and responsibilities, today he is the Chairman of the Group. His market sense and conscientious nature have taken ITL Cosmos Group to new heights. What started as a textile outlet has now diversified into several sectors including IT, electronics, finance, and manufacturing and has been voted as one of the Top 100 companies in Dubai. Apart from spearheading the Group, Dr. Buxani holds prestigious positions in various organizations. 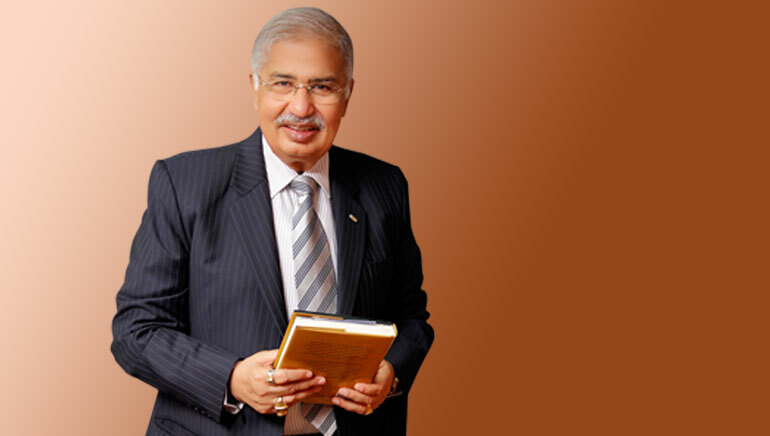 He was a pioneering promoter of IndusInd Bank and has served as the Chairman of Indian High School and the India Club. In addition to this, he also laid down the foundation of the Overseas Indians’ Economic Forum and has been the forerunner of Indian Business and Professional Council. Ranked among the most influential Indians in the UAE, Dr. Buxani played a significant role in the formation of Dubai’s first trade group – The Electronics Group. “Success is a habit,” emphasizes Dr. Buxani. In the course of his outstanding tenure at the ITL Cosmos Group, he concentrated on his goals and strengthened his skills for advancing the company on a trailblazing path, accepting the dynamic nature of the business world all along and consistently innovating when faced with a threat. Not forgetting his passion for education, Dr. Buxani later resumed his studies and earned his Ph.D. in 2004 from a prestigious Washington International university by penning down a thesis titled Governance of Dubai: The influence of tribal tradition in decision-making, especially in the critical periods of the development of the city-state and was later conferred an honorary D.Litt. degree by the DY Patil University, Mumbai. Accentuating the growth of the UAE’s education sector, he also campaigned for it. To motivate the new generation, he has also published his autobiography Taking the High Road bringing his visionary ideas to the fore, which has been translated into 7 languages. A passionate individual, Dr. Buxani has consistently made his presence felt as a visionary leader and spokesman for the Indian community in the UAE.